Rocks containing cobalt. Something Surge is exploring for around the world. During all the hyper-buzz around the li-ion battery, lithium, that light, super-conductive metal has been at the wheel, soaking up the spotlight like a celebrity formula one driver. That left its brittle, periodic table sibling cobalt taking a back seat in the electric car, seemingly important only for its association with lithium. Now times are changing, and cobalt is becoming the center of attention — and not for all the right reasons, but because of the negative press on the Democratic Republic of Congo, where the majority of today’s cobalt is mined. Cobalt is an essential component in lithium-ion batteries — making the battery both safe and efficient — that power everything from electric vehicles to smartphones, laptops, and other tech devices. Demand for all these goods is rising sharply as the world shifts toward greener energy sources. The global demand for cobalt has soared recently, exceeding 100,000 metric tonnes for the first time last year, according to mining consultant CRU Group. It's expected to keep growing over the next decade at a compound annual growth rate of 11.6 per cent. The German government's Institute for Geosciences and Natural Resources forecasts that demand is expected to double over the next eight years alone. That has many analysts and not a few tech-firms worried. World production of cobalt dipped last year to 110,000 metric tonnes, down from 123,000 metric tonnes in 2016. Nearly 70 per cent of all the cobalt mined in the world comes from the Democratic Republic of the Congo, where changes in the regulatory regime and political instability have Bloomberg New Energy Finance analysts warning of cobalt "supply shocks" by the early 2020s. "We're avoiding places like the Democratic Republic of Congo, in particular, and stick to working in world-class areas that have really good mining laws, human rights laws, and labor laws because we believe you can build a strong company and a reliable resource in good stable economies like in Canada, the U.S., Chile, and Argentina." 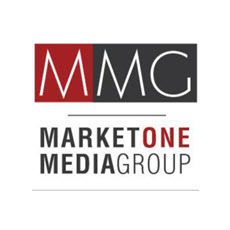 — Tim Fernback, President & CEO, Surge Exploration Inc.
"That results in very stable mining and exploration operations, with access to high quality mining professionals, great access to infrastructure, and also a positive investment climate." "What's really unique about these two properties are they have cobalt as their primary metal. 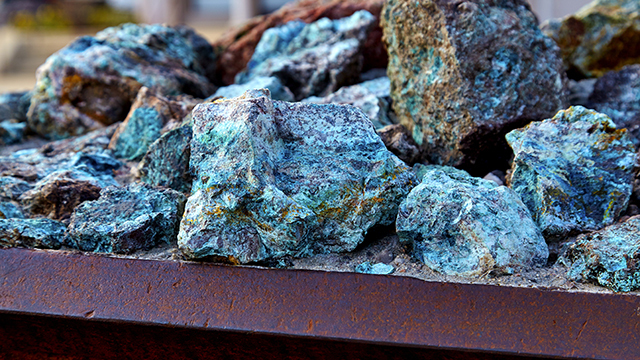 Cobalt is normally associated as a tag-along mineral to copper and nickel mining and only about two per cent of the global mines have cobalt as the primary metal being extracted. So, our Canadian properties fall in that upper echelon of the two per cent that are high-grade cobalt properties," says Fernback. "And we also have a historic resource on our Canadian cobalt properties, so we're in a very good position to get that property into a mineable state." 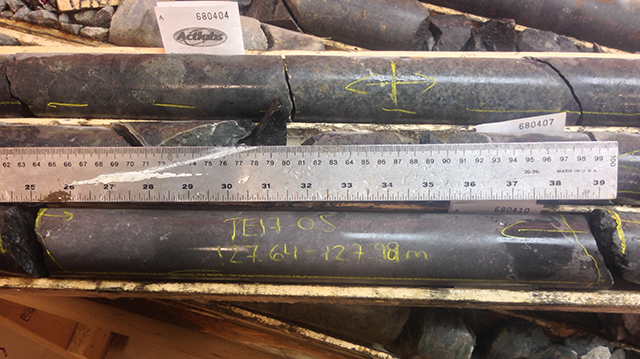 Drill core from the 2017 drilling program on the Teledyne Cobalt property. Surge Exploration, through its South America subsidiary operating out of its office in Santiago, Chile, recently signed a Memorandum of Understanding with Compañía Minera del Pacífico S.A., a subsidiary of the multi-billion USD Chilean Iron Ore giant, CAP S.A. for an option to acquire up to 100 per cent of the Atacama Cobalto Project. Situated in the Atacama region in northern Chile near the mining town of Copiapo, the project consists of 1,059 hectares and is located three kilometres east of the Cerro Iman Mine, within 40 km of three other active mining operations. Surge Exploration is also actively looking for projects in both Chile and Argentina, primarily for lithium properties. 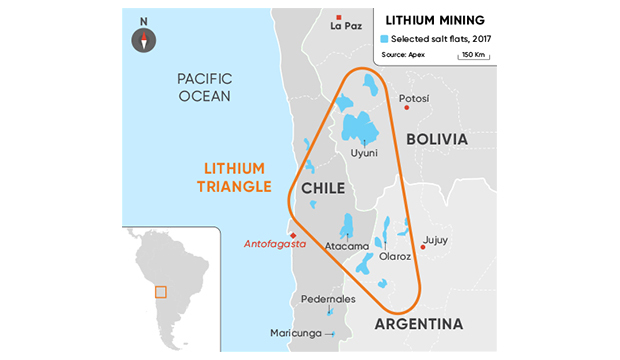 Chile and Argentina, along with neighbouring Bolivia, form the "Lithium Triangle" where roughly 70 per cent of the world's lithium is produced. Fernback hopes the company will be able to make an announcement on a project there soon. "There's a lot of opportunity for us in South America, particularly in Chile and Argentina. Here, we can take advantage of the fact that these mining focussed countries are dominated by very large international mining companies. There aren’t a lot of established and well financed junior mining companies operating there. These large companies are focused on minerals like copper and gold, and are not particularly focused on the abundant lithium or cobalt resources that exist. This is a big advantage that we can unlock for our shareholders." says Fernback. Lithium Triangle in South America. Nearly 70 per cent of the world’s known lithium reserves are here. Surge Exploration has built strong teams both in their corporate offices and out in the field. Their Chilean team includes Mr. Francisco Acuña, co-founder of Surge’s exploration partner, KURA Minerals. Acuña was directly involved in the strategic development of the Minera Escondida project and has experience in natural resource governance and sustainable development. Closer to home, Surge has former B.C. Minister of Mines and Energy Mr. Bill Bennett on their board of directors. Bennett has a wealth of knowledge about mining internationally. Bennett, whose son lives in Chile, is familiar with the Chilean mining space. Fernback says he's a tremendous asset to the company. "He's very a straight-talking person and although it took us a little while to convince him to join our company board, he is now a big believer in our company and a strong proponent of this opportunity," says Fernback. "I think it's a testament having his vote of confidence in our company, the management team, and the properties we've built up over the past year." Taking Advantage of "the Perfect Storm"
With looming shortages and increasing demand, it's little wonder that the price of cobalt has reacted so positively in the past three years. Even with its recent price pull-back, cobalt has soared an impressive 180 per cent in commodity price over the past three years. The demand from electric vehicles, hi-tech consumer goods, li-ion battery storage walls for alternative power sources, all have the drab, blue-white cobalt looking like a much shinier commodity. "It's kind of the perfect storm in that the lithium-ion battery is the premier battery at this time and there's a lot of consumer and government push to get these batteries out into the market," says Fernback. "You know that a hundred and twenty-five million electric cars are projected to be on the road by the year 2030, and therefore our industry has to be ten times larger than it is today, and it can only do that by moving projects like ours to the final stages and extract the metal from them. So, the future for these metals is really, really bright and we're in a good space at the right time."